Well, this year, I'm very far removed from any important duties. I'm currently the Marshal of Corinthian Lodge No. 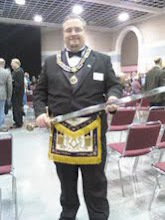 67 and a member of Faribault Lodge No. 9. I'm not a line officer in anything but the York Rite nor do I have a vote at the Annual Communication. That means, relaaaaaaxation. I get to sit and listen to the proceedings and see many of brothers I get to see once a year with a sense of calm. This year proves to be extra exciting. The first big thing at the Annual Communication will be the George Washington Inaugurial Bible. 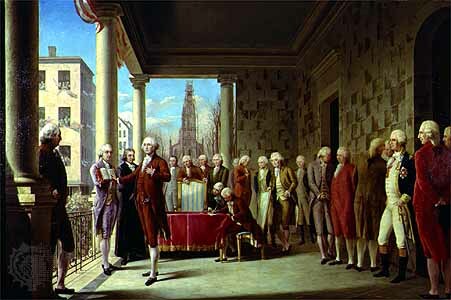 That's right, the Bible that George Washington (and many successive Presidents of the United States of America) took his oath of office to serve as the first President of the United States will be on display. The Bible is owned by St. John’s Lodge No. 1 A.Y.M., F.&A.M., Grand Lodge of New York. This is a very great opportunity for the Masons of Minnesota. You can read more about the Washington Bible by visiting the Grand Lodge website. Furthermore, the Annual Communications featured speaker will be WBro. Cliff Porter, Past Master of Enlightenment Lodge No. 198 in Colorado Springs, CO. He’s a writer of many great books including his current tome, The Secret Psychology of Freemasonry: Alchemy, Gnosis and the Science of the Craft. He also blogs at the Relevant Mason which is filled with great thought-provoking pieces about Masonry and the practice of Masonry. I am very excited to meet him and gain further knowledge into the esoteric side of our Craft. It appears that the Annual Communication will be pretty swell this year. I hope to see as many of you there as possible. It’s going to be great.